When you need someone who is one step ahead. . . I walked into the church nursery hallway and saw her leaning on crutches, her left foot in a walking cast. You may have seen her and felt sorry for her. (Or not.) Because one thing we take for granted is the ease of walking. It’s when a simple step involves swing metal sticks, flexing your ab muscles and throwing your body forward that you appreciate each step. That same Sunday a couple stood in front of the congregation and shared their infertility story. Trial after trial. Disappoint and sadness. Behind me sat a friend who had walked a similar journey. All those years pleading with God for a child. Countless doctors appointments and needle pokes, all worth it in her mind because of the life she now held in her arms. As only God would have it, that same night we ran into another family from church. This mom bravely shared the struggles that came with her baby. A baby born months too early, resulting in lots of health issues. She shared the fear she felt before each new medical procedure. The stress of having to do things differently than with her first child. I asked her if she knew anyone whose child had similar challenges. She did. A mom whose baby had just started having the procedures. A mom she comforted with advice. Because she was just one step ahead. . . When you are going through a challenge, isn’t that what you want? You just need to know someone who has been where you are and made it through. You need hope. My child’s tantrums today are unbearable. But I see your formerly tantrumming child, patiently waiting by your side. My husband’s work schedule is out-of-control. But I see your husband found balance when there was none. My home is in constant disorder and chaos. But I see your children are grown and your home tidy. Remember the friend I mentioned standing in the hallway on crutches? The one I said you may pity? Well, when I saw her standing there, pity wasn’t even close to the emotion I felt. Because six months ago that friend fought for her life in a Virginia hospital after a horrific car accident. Fervently we prayed in a crowded church classroom for her physical and emotional healing. Half her body had been crushed and multiple surgeries performed. So seeing her standing tall with only a walking boot and crutches? I just about leapt 10 feet high. Because our hopes had been realized. In the midst of trials, we don’t see the end. But we can hope. We can seek out someone who has been there and survived. We can move from crushed to walking, even if walking requires a pair of crutches. Are you crushed in some aspect of life today? Do you know someone a step ahead of you who can speak hope over you? Lord, I pray that those who read these words would find someone to walk with in their trial. I also pray they would know the everlasting hope you give through eternal life. That there is nothing this world holds in comparison to a forever with You. 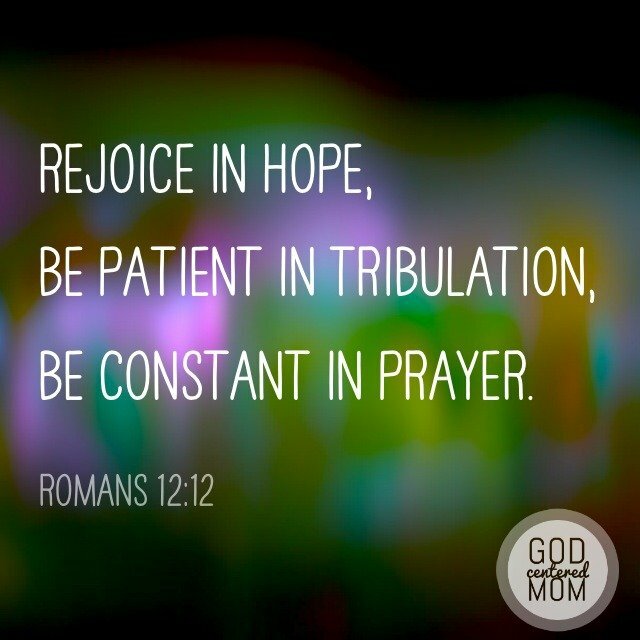 “We hope for what we do not see, we wait for it with patience.” (Romans 8:25). Amen. oh you are so right, i guess it is a call to community and mentors. I think so often we view those words with various lenses and forget what they actually mean…community–walking life together & mentors–giving us new eyes for our present circumstances. and you are too kind! Thank you! Thank you for writing this post! Thank you for allowing God to speak through you that my heart may be helped. You see, I lost my daughter two months ago. She was 20weeks 4days. To young to survive outside my womb. I have been raw. Broken. Yet holding onto hope that God will take these ashes and create beauty. Take my mourning and give me joy. And although I hope for those things, I cannot see the beauty or joy. I can only see what isn’t. Today I hold onto HOPE!